Today is an exciting post, because it covers our very first eCom Shopify Meetup! 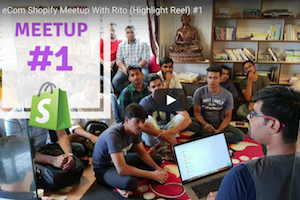 Recently Rito hosted a meetup for a group of Flying Start Online followers. All attendees happened to be drop shippers looking to establish long-term successful businesses and relationships with fellow entrepreneurs. There was no charge for this meetup, it was simply to educate and create connection between likeminded individuals. Rito didn’t make money from this, he simply facilitated, making himself available to answer questions and help in any way. Even with an abundance of social media users, face-to-face interaction is still the key for building real trust. Creating personal connection with eye contact, hand gestures, a bow, or fist bump, along with solid, positive conversation is still the most powerful form of networking. By growing your personal and professional network, more opportunities arise, business partners appear and connections are made. And when that happens trust is also garnered in the local community and abroad where it may not have happened otherwise. No matter what industry you’re in, networking refines your interpersonal communication skills by connecting you with a diverse group of people and personalities. Mastering the art of conversation, asking engaging questions, listening to understand rather than respond and creating new connections is key not only for successful networking, but for all of your future business relationships. Networking events are great opportunities to obtain professional inspiration and to discover developing industries, products and techniques that may be perfect for your business and or your particular skillset. You may very well learn about promising new startups, innovative business ideas, or success stories that inspire you to pursue a new profession, strategy or even to realize long-term goals that may not have been fully in focus prior. 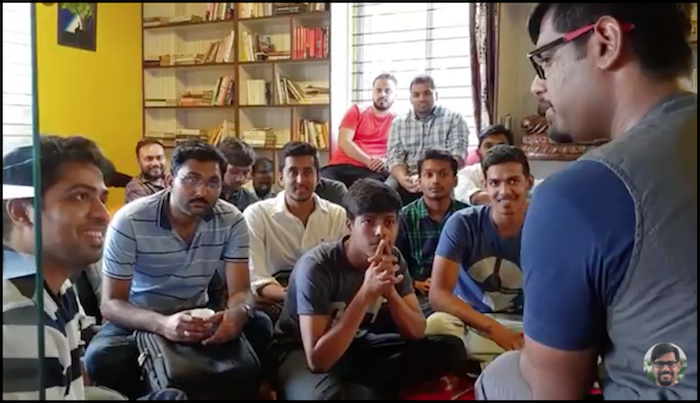 What happens when you put like-minded people in a room together with nothing but their thoughts and a willingness to learn something? That room bursts with positivity, excitement and raw energy! The meetup was all about you. Your stories, your thoughts, your connections, your questions. All Rito had to do was sit in the same room, facilitate the conversations, answer any questions, and allow the engagement to foster on its own. You guys (our FSO followers) are all absolutely amazing. And here’s to more eCom meetups in the future! Thank you, God bless, and we’ll see you soon. That’ll do it for Episode 24 – Great work! If you’re not kept in the loop via our #Bizathon list definitely sign up today.